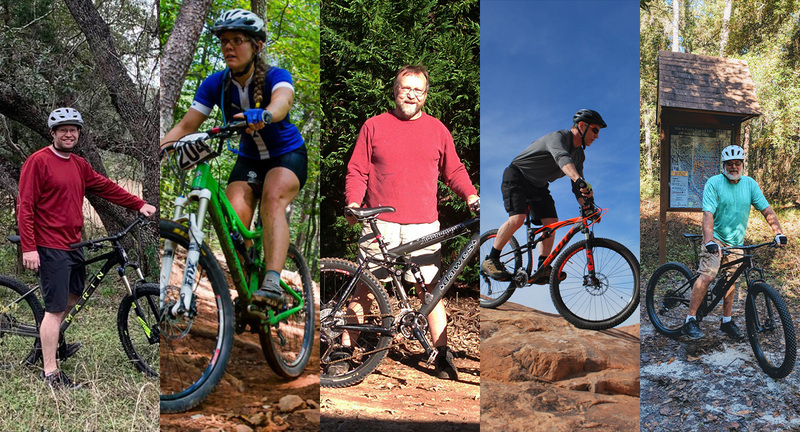 Singletracks spoke with five people who lost weight by mountain biking. All of them had different stories, different reasons why they wanted to lose weight, and a different process. 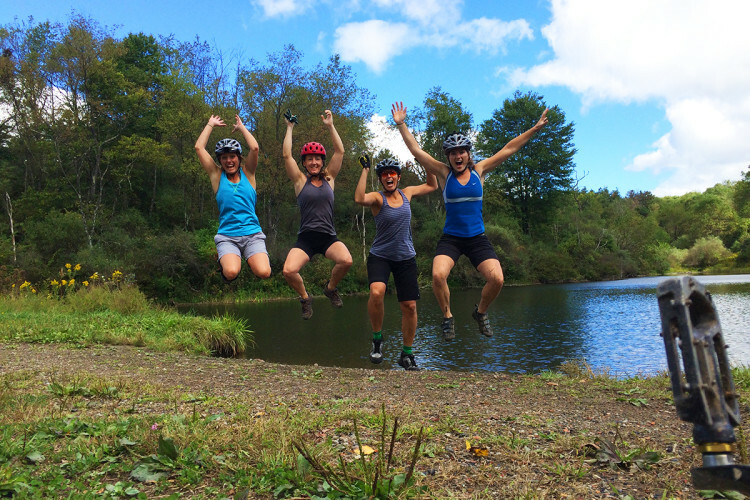 None of them decided to lose weight and that a mountain bike might be a useful tool. 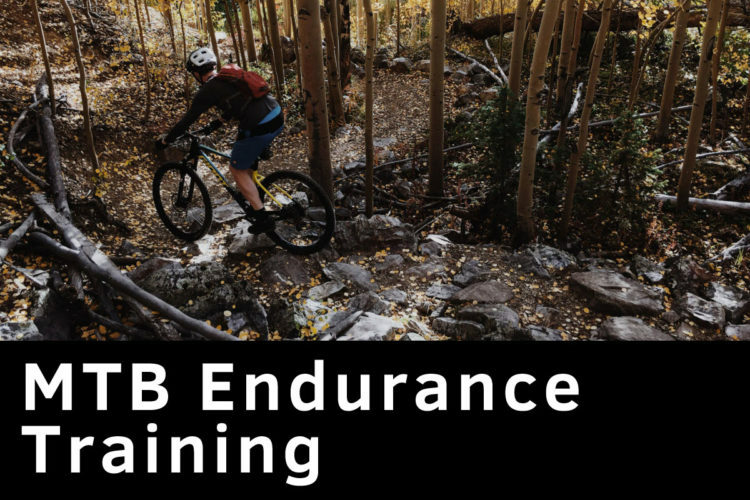 They all knew that mountain biking is fun, and a hell of a workout, so why not make an arduous process enjoyable? Photo courtesy of Howard Hoes. “I just fell into mountain biking last year,” said Howard Hoes. He’s originally from Nebraska and worked in the construction field for 35 years, which took a toll on his body. When he retired from construction, he and his wife bought a 5th wheel and headed down to Florida. It wasn’t until later that he realized they had landed close to a trail network. He’s lost more than 20 pounds and says that his weight keeps dropping. Hoes first borrowed a mountain bike, and then bought a bike from Wal-Mart, then an Iron Horse, and is now riding a plus-tired Trek Stache. When he told his doctors about his new activity, they told him, “just don’t fall.” Hoes has of course crashed since then. Everyone has. He likes it too much to be deterred, though. Now he tries to ride at least every other day. Hoes says he got about 100 miles in for November. Photo courtesy of Josiah Johsnon. In 2015, Josiah Johnson was finishing his dissertation in a doctorate program in exercise science. 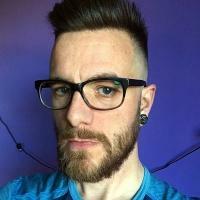 Academics, family, and a hectic schedule had taken over his life, and he was left with very little time for self care. Johnson’s doctor told him that he had high blood pressure, and that his cholesterol and triglyceride levels were climbing. He knew he had to do something soon. 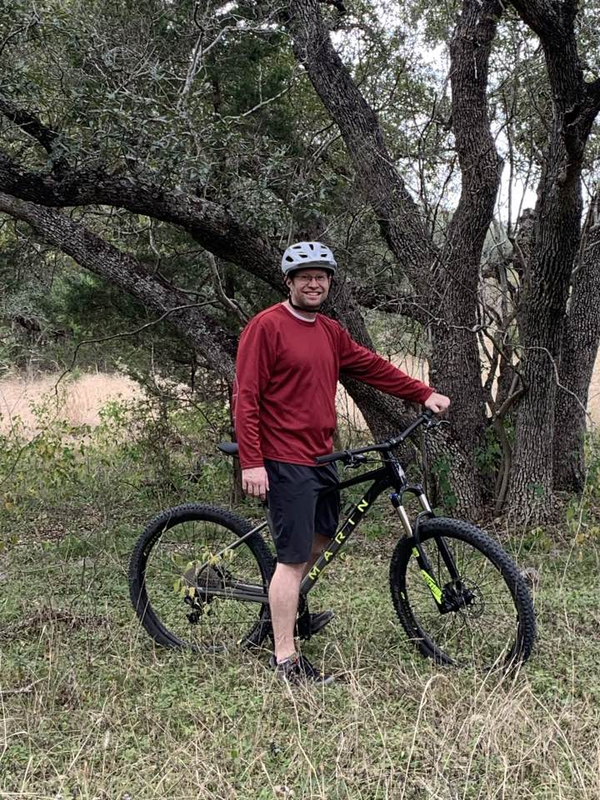 After landing a job as a professor of exercise science at St. Mary’s University in San Antonio, he found himself telling his students what he knew he should have been practicing himself. Johnson started hitting the gym, but burnt out quickly. 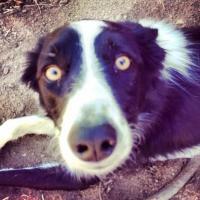 He realized that he was close to some mountain bike trails and decided to check them out. It was the perfect formula for Johnson. The trails started a mile away from his house. He could sneak out in the morning for an early ride, before the family was awake, and get a killer workout. Johnson still applies his knowledge of exercise to his mountain bike rides. When he sees a climb coming up, he’ll throw it into a gear that’s maybe a little too big for the climb and hammer it out. 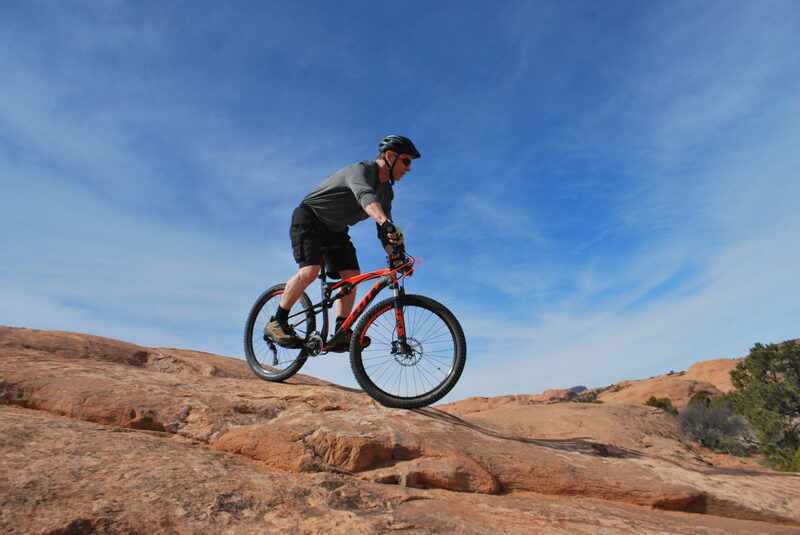 Variations in grade, terrain, and the challenge of mountain biking keep Johnson on the trail. Photo courtesy of Cherie Lasota. Some people come for the fun and stay for the community. Cherie Lasota picked up her first mountain bike when she finished college. Riding fell to the wayside as she worked her way up the career ladder. When she had her son in 2005, Lasota says that she was about 60 pounds heavier than she had ever been. Most of it was pregnancy weight, but she still wasn’t happy about it. She wanted to create a different lifestyle for her and her son than what she had grown up with, and that meant regular exercise and eating right. Mountain biking would be a major part of the picture. 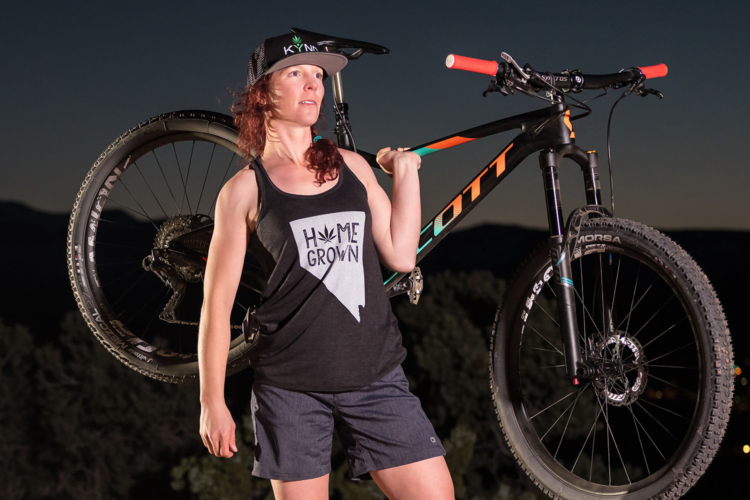 “I reminded myself that mountain biking was what I really loved.” Lasota’s ex-husband introduced her to the sport, but she made it hers by riding by herself, signing up for races, and meeting new people. For Mother’s Day in 2010, she told her son that what she wanted was for him to go riding with her. He was up to the challenge. Lasota says that three months later, he was mountain biking with her on the trails, and he was racing when he was six years old. Now when they take a family vacation, it’s often to a destination with a great trail network so they can ride together. There was a period where she wasn’t mountain biking as often. She started participating in more triathlons, and even though the challenge was there, it wasn’t as fun as mountain biking. The other athletes’ interests didn’t extend past her carbon road bike, or whether she was planning to PR or not. The vibes at mountain bike events were always different for her. Photo courtesy of Scott Jensen. Something was off for a while before Scott Jensen saw a doctor. He was having severe mood swings and irregular sleep. One day he got home after eating a sub sandwich and a soda and felt like he couldn’t function. He knew it was time to see a doctor. They took a blood draw and the next day, a nurse called Jensen and told him the doctor wanted him to see him immediately. Medical staff informed Jensen that he was a type 2 diabetic and would have to start taking a slew of medication, including self-injected insulin three to four times per day. His fasting blood sugar was at a level of 300 mg/dl. A normal person’s blood sugar usually rests under 100 mg/dl. Jensen asked if he could delay the insulin and try to mitigate his diabetes with exercise and nutrition instead. He felt confident that he could improve his blood sugar without the medication. Jensen started mountain biking when a friend took him out in Scottsdale, AZ, before he moved to Idaho. He thought back on how riding had always helped his mood and stabilized his health before he knew he was diabetic. Now, Jensen’s blood sugar averages categorize him as pre-diabetic. He’s lost about 45 pounds, and his A1C level, a measure of the sugar that coats hemoglobin in red blood cells and predicts diabetes complications, is half of what it was at his diagnosis. “I always ride once [a week]. A good, long ride, probably about 15-18 miles.” Jensen also gets out for a shorter ride once a week. “That’s enough to maintain,” he says. Jensen thinks that if mainstream healthcare tried something different, maybe others could see the success he’s had by mountain biking. Photo courtesy of Rick Olson. Rick Olson moved to South Carolina in his late 20s. He grew up outside of Chicago and was a road biker for most of his life. Four years ago, Olson had an annual physical and his doctor warned him that he was nearing type 2 diabetes and heart problems. 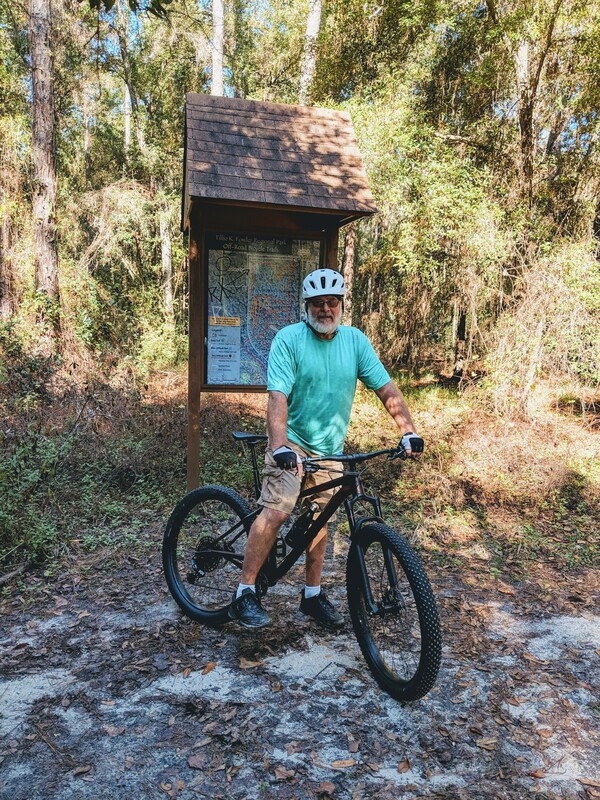 He wasn’t interested in road biking again, and he was already close to a lot of trails in Pisgah and Brevard. Olson actually had enough room on his land to build his own trails. He started building skinnies and other features to ride on, built from logs and railroad ties. Now, he’s got about 10-12 different obstacles to practice on. “There’s always something I’m trying to dial in,” he says. Olson lost 25 pounds in the first year that he got back into riding, and it’s since stayed off. He says he rides about 20 miles per week on average, all year long, and has a blast. Olson is always looking for a new feature to build, or something new to try on his bike. Every now and then, he’ll crash. Everyone has a certain point they reach when they decide to make a change. This happens in the action phase. That’s the fourth phase in the five stages of behavior change. For some, the kick into the action phase comes from external reasons. A doctor gives someone news that they don’t want to hear, like high blood sugar, or a high cholesterol reading. Or, maybe someone makes a comment about a friend’s weight at a party that’s unpleasant to hear. Those are external cues, but often those don’t create lasting change; internal motivation does. Internal motivation for exercise and attainment happens when someone enjoys the process. Usually there’s a blend of external and internal motivation at play for everyone, but internal motivation is the most impactful and long lasting. So, how is internal motivation created and sustained? By attainment and empowerment. When people start something new, and intimidating, and realize that they can do it, enjoy it, and progress. 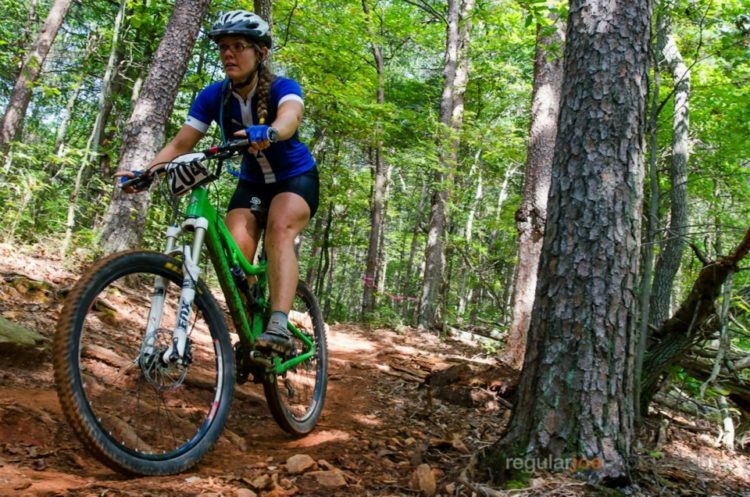 For many, mountain biking is just the ticket. Thanks to everyone who shared their story for this article, and to those who submitted emails and comments with their stories. This is quite an inspiring collection of stories! At the age of 42, I had a heart attack and weighing in at 257lbs. I’ve tried everything from diet, different types of work outs and nothing I really enjoyed. 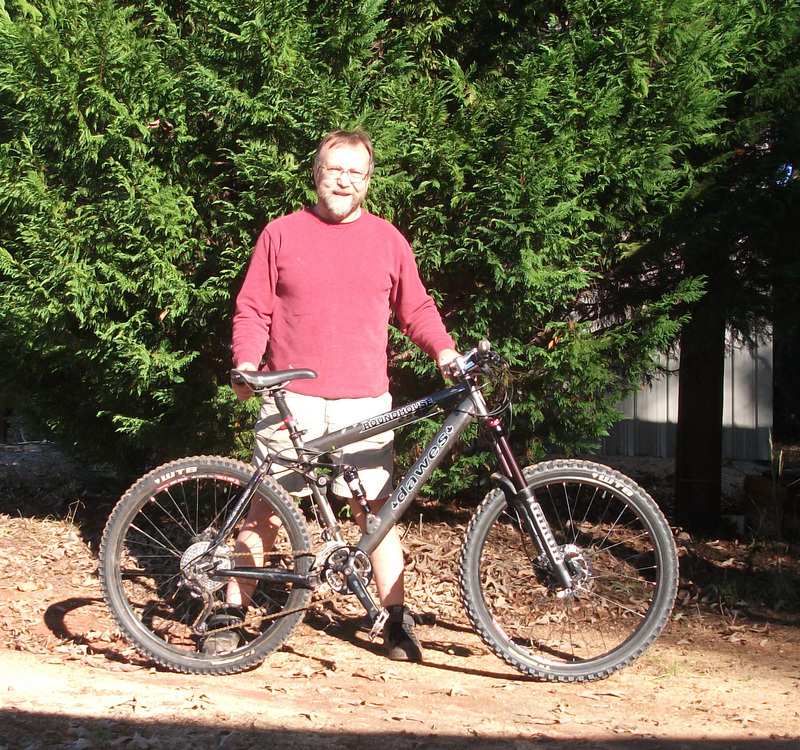 I picked up a mountain bike after riding a couch for 25 year and started to ride it. At first, being overweight and unbalanced I had some injuries and a bruised ego. But once I got my balance back, I started to ride more and more. Fast forward a year, I’ve lost 57 pounds, got off all my medicines, no longer have high blood pressure, no longer have Type Diabetes and now doing 50 mile challenges and loving life again. Great stories! 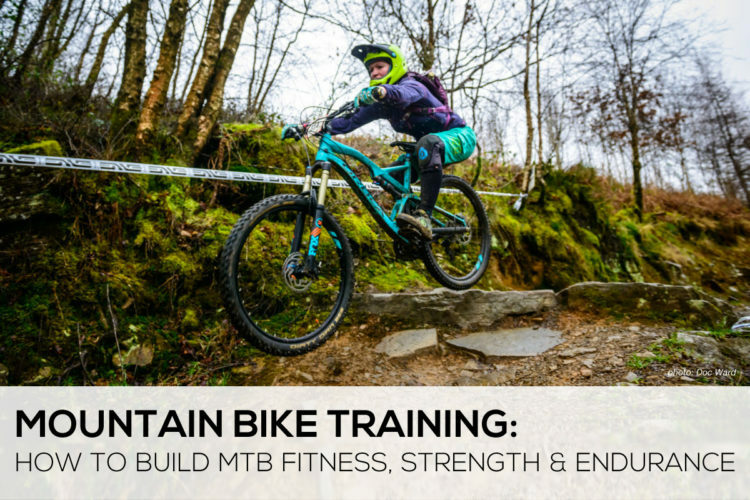 So many health benefits from mountain biking – physical and mental – and way more fun than the gym! Glad these riders were able to stick with it and make some amazing changes! Great piece Matt. And you’re sooooo right Leah, waaaay more fun than the gym. Thank you Matt for including my age group in your writing. Although I cannot yet claim the results of your inspiring subjects, I can only hope. Maybe this is the year. What a great piece of motivation! Amazing transformation all around. I lost over 100 pounds from mountain biking, jiu jitsu and proper diet. I haven’t been on a bike in over 30 years and now have a solid 2 years under my belt. I cant stand gyms so this was my way of working out. SO glad to hear your success, congrats and it’s an inspiration! I’m a horrible 355 lbs and just started a whole new mindset. 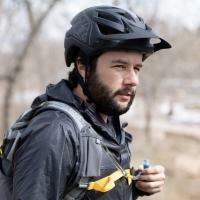 Bought a Trek Marlin 7 which does hold my weight and I’m starting with 3 miles a day here at work, we have a 1 mile walking path and I have an office to keep the bike. 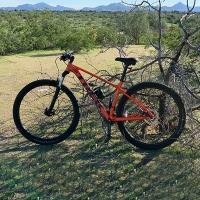 I also got a Specialized hybrid to ride at home (I’m in AZ, no excuse not to ride in the winter). And bye bye flour and sugar, that’s my downfall. No more 8 hours in a chair for me, it’s killing me. To get out on my MTB midday is already making such a huge difference. Your post proved this can work! Thank you for sharing! My wife and I travel full time in our RV and our yearly schedule consists of two activities: mountain biking in Utah, Colorado and Arizona, kite boarding in Baja and California. What’s hilarious is that I get relatively out of shape in the months where I’m kite boarding every day because it’s too easy physically! 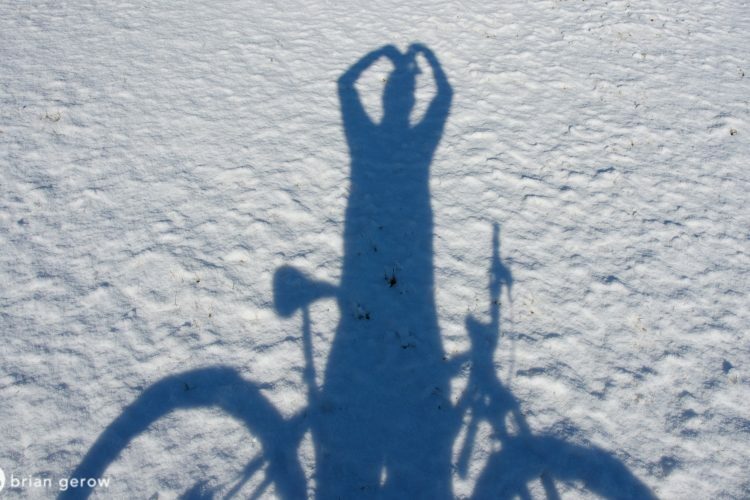 Much as I love kiting it’s the biking that is most responsible for fitness. We’re both in our mid sixties, we do a regular schedule of weightlifting and biking to stay in shape and , it’s a great combo for staying fit. I too lost a lot of weight via mountain biking. 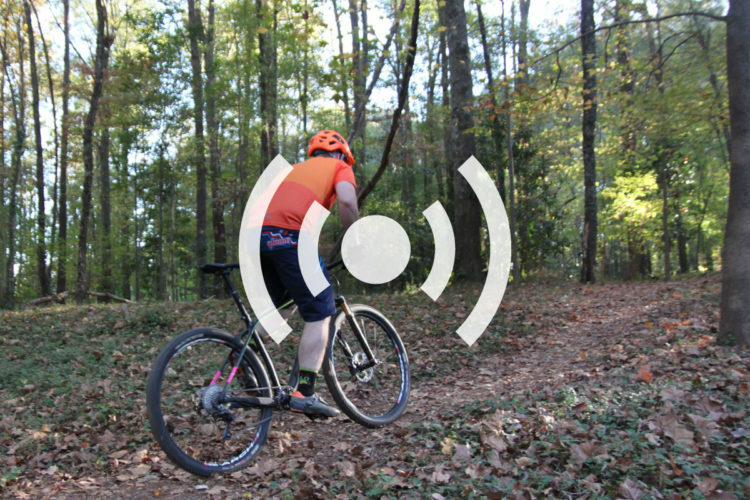 The catch is that I have an electric mtb because I was in too poor of shape to ride a regular mtb up the hills around me (Appalachia). Still am and the injuries I sustained throughout my life probably mean I never will be. Now I can exercise regularly and even go places (I can’t drive). The first time I started riding was when my wife’s cousin got me going. I weighed 240 and rode myself down to 175 and was even racing. I let it go about ’96 and started again when I was 64. I was up to 220 again and fighting blood pressure and afib problems. I’m 67 now and am back down to 175 again and rarely take my BP meds. I haven’t had an afib episode for a couple of years. I try to be careful about hitting the ground but it happens. I’m definitely much more brittle than I used to be but I don’t dwell on and just ride. The Mountain Bike saved my life, I’m positive, and it’s been the fountain of youth for me. Cherie is a beast on a bike! She’s faster than most men! 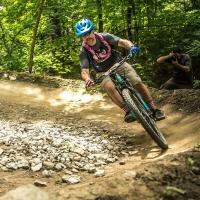 See also: Marijuana and Performance: Does Using Weed Help or Hinder Your Mountain Biking?